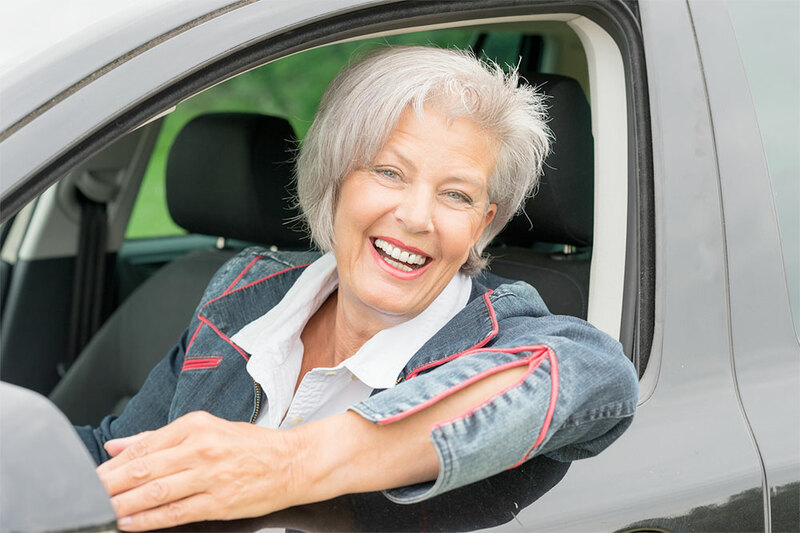 Aging can adversely affect your driving abilities as the years creep by. Although you could simply relinquish your license to avoid the perceived dangers, it is not the only option available. Instead, you can actually increase your skills behind the wheel more than ever before by enrolling in a mature driver's training course. You will learn how to safely pilot a vehicle in any weather condition or driving situation during the training course. Your instructor will go through the different ways aging impacts driving skills in addition to discussing ways to mitigate those dangers, especially collision risk. Furthermore, completion of this type of course often results in insurance premium decreases for qualified drivers. The course topics vary according to which class type you select. You may want to choose a state approved or run course if the listed topics meet your unique needs. You should always consider your strengths and weaknesses behind the wheel when picking and enrolling in a driver safety course. Over the years, you may have forgotten specific wording of traffic regulations in your area. Furthermore, many of the laws may have changed or appeared since you studied roadway regulations. To relearn legal matters concerning driving topics, like signage and signals, choose a course focused on the technicalities. Changes to your mind and body may leave you flustered upon slipping behind the wheel. Understanding how these changes impact your reaction times, emotions and hearing or vision-related abilities can help you mitigate the dangers that aging brings. Instructors leading these courses will encourage real world practice to compensate for the changes caused by aging. For example, you may learn how to create a safety cushion and scan for dangers as you move down the road. These techniques, and others like it, drastically reduce the chance of collisions often caused by slowed reaction times. Instructors may inspire mindfulness that helps you gauge when it is time to hand over the keys for good. You will be better able to identify and correct difficulties that put yourself and others on the roadways at risk. In addition, you will learn to weigh the risks and benefits of continuing to drive as aging further decreases your ability to pilot a vehicle safely. As communities grow, more people hit the road at the same time, which leads to traffic build ups at all times of the day. The ability to drive on truly empty roads ended with population growth in nearly every city. You may frequently find yourself in heavy traffic as people attempt to make it to work, school or doctor's appointments on time. You may have to compensate for others who are frantic about being late to the next item on their agenda. Mature driver's courses will teach you safe ways to drive in heavy traffic, including merging, signaling and exiting techniques. Furthermore, instructors will help you identify nervousness or uncertainty that could impede your ability to make good judgment calls. In those situations, it is often best to skip the trip, delay the drive or find someone to give you a ride, no matter what your age. Heavily congested roads require the use of an immense amount of patience and confidence to safely make it to your destination. You may come across all types of drivers from the nervous and unsure to the overtly frustrated and hostile. You will also need to safely maneuver around semi trucks and trailers, motorcycle riders and speedy compact vehicles. You may need to go over the different techniques about driving around the various driver and vehicle types several times to internalize the lessons. Your instructor will happily repeat the lessons until you and your classmates remember the techniques needed to stay safe. Personal safety devices receive continual upgrades to increase the likelihood of passengers and drivers surviving serious collisions. For example, the innovative safety belt system now receives support from airbags, anti-lock braking systems and crumple zones, all of which are designed to take the bite out of collisions. As a result, fatalities from vehicle accidents have dropped significantly due to the proper use of these devices. You will go through the various safety systems and their proper use to ensure you are prepared to protect yourself and others while piloting your vehicle. Upon deciding that you want to net the benefits of completing a safe driving course, including the chance of reduced insurance premiums, you will need to find a suitable class for your needs. You must weigh cost, location and class topics to find the perfect course for your budget, transportation abilities and age-related driving difficulties. If you have the extra funds, or just need a few hours of professional training and support, you can secure individual instruction to avoid the group setting. Otherwise, consider a group classroom setup designed for mature drivers in particular. Your classmates will be facing similar difficulties, so you will be able to learn from their experiences and abilities. Furthermore, you may find camaraderie by entering the course alongside others who have been out of school for just as long as you have. The course often spans a period of four to eight hours to cover all of the material needed for your age group. You can find courses broken up into several sessions to make it easier to digest the material presented by the instructor. Listen intently when your classmates ask questions of the instructor, as you may be able to learn from their situations as well. If you have to travel a long distance to class, consider using your commute to practice the skills you learn from the instructor. If you are nervous or lack confidence behind the wheel, you can search out courses closer to home until you gain the skills needed for a safe drive to and from class. One option is taking a course online to skip face-to-face instruction altogether. With these courses, you can break up the content even more to create easily digestible and memorable sessions. You can also go back as many times as you need until you internalize the rules and techniques required for safe drives on public roadways. Since computer courses require individualized preparation, you may end up paying more for that option, even when factoring in commute costs. For your money, however, you will receive support from instructors and answers to your questions anytime of the day and night. You must heavily consider the way you learn best to pick the right mature driving course for your needs. No matter what you choose, you are taking the decision to continue driving into your own hands. If possible, it just makes sense to continue driving as long as you can safely pilot a vehicle. Taking a mature driver safety course allows you to delay the decision to stop driving altogether until life changes necessitate that step. You can find more information about local mature driving courses by speaking with retirement community directors or associations. The Department of Motor Vehicle also provides lists of safety courses approved by the state for every age and skill level.